Facilities Management: Your Brand in Good Hands | Odd Job Handyman Services, Inc. Odd Job‘s professional handyman services aren’t just for homeowners and tenants. We offer facilities management and property management services. We help a great number of corporate clients maintain beautifully functional offices, enhancing productivity. Drywall – Walls and ceilings fill more space in any office than all other features. The slightest damage will destroy the office’s consistency and ruin its flow. We’ll patch the holes, fill the cracks and repair water damage before it develops into a serious issue. Storage – It’s hard to find a place for everything, so why not create new ones? Building or repairing office shelves, cabinets, counters and display racks is all in a day’s work for one of Odd Job’s professional technicians! Hanging – We’ll hang your certifications, display monitors, artwork, whiteboards and anything else. To do it properly takes a lot of time and care, which is difficult when your agenda is full. Let us take the chores off your hands! Furniture assembly – It might be fun to purchase new furniture for the office. Assembling it all? Not so much – especially when you’re on the clock. Give us a call and we’ll have it done before opening hours. Door repairs – We’ll repair and maintain your doors or replace them entirely. Say goodbye to creaking, ringing or dragging. Painting – Let us give your space a huge update by splashing it with fresh colours. We’ll paint, refinish and re-stain your walls, ceilings, doors, woodwork and everything else. Bring your office to life! Tiling – Tiles may be beautiful, but they will easily break, chip, and crack, and ruin the flow of the space as a result. Our team will fully restore and if necessary replace them, leaving your space better than new. Drywall – Nothing says “Run” to your prospects like a hole in the wall. 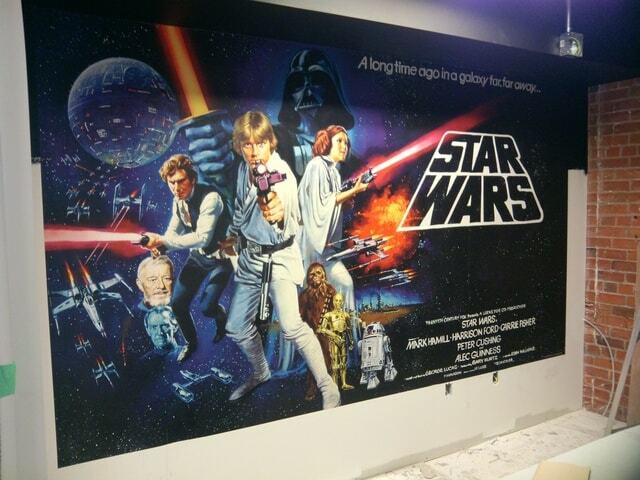 Our team will repair, restore and fully refresh the space. Holes, cracks, and damaged or discoloured areas will disappear before the open house! Kitchen and Bathroom – Let’s completely update these spaces before your prospects look them over. Not only will we take care of any necessary last-minute repairs, but we can replace and upgrade the fixtures in order to refresh and modernize the space! Decks and Porches – We don’t need to tell you that these can be a major selling point. We can fully repair and power-wash these spaces before leaving them refinished and looking gorgeous. All our professionals have the licenses and experience needed to complete your projects to code and give you peace of mind. Contact us for more details about our facilities management services and how we can help you. Take a look at our gallery and you’ll see before-and-after photos from our corporate clients! Our rates for commercial clients are different from our normal rates. It’s easy to pick up the phone and book a visit with us. It isn’t as easy to wait for a week or even a few days for your visit. That’s why we’ve introduced service contracts. These contracts provide you with a multitude of special perks, including a discount on technicians, priority support from our office staff, and even a free consultation every month. Most importantly, our professional facilities management team is placed at your disposal, with service guaranteed within 24 hours of your call. 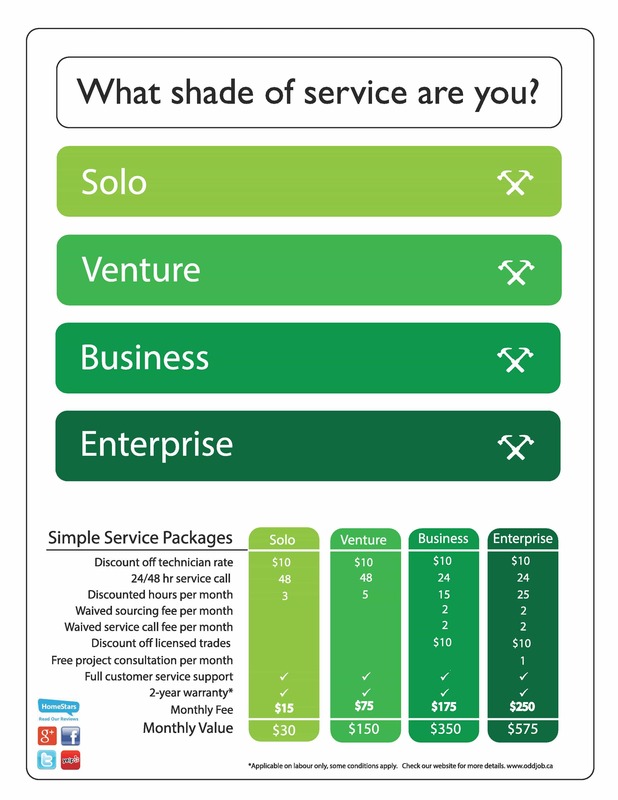 What shade of service are you? These companies trust Odd Job because of a relationship defined by consistently reliable and exceptional service. Book us today and see for yourself.